Gastrointestinal symptoms, inflammation and hypoalbuminemia in chronic kidney disease patients: a cross-sectional study. Zhang X, Bansal N, Go AS, Hsu CY. BMC Nephrol. 2015 Dec 11;16(1):211. 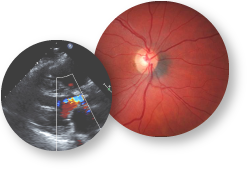 Retinopathy and the risk of cardiovascular disease in patients with chronic kidney disease (from the Chronic Renal Insufficiency Cohort Study). Grunwald JE, Pistilli M, Ying GS, Maguire M, Daniel E, Whittock-Martin R, Parker-Ostroff C, Mohler E, Lo JC, Townsend RR, Gadegbeku CA, Lash JP, Fink JC, Rahman M, Feldman H, Kusek JW, Xie D; CRIC Study Investigators. Am J Cardiol. 2015 Nov 15;116(10):1527-33. Chronic Renal Insufficiency Cohort Study (CRIC): overview and summary of selected findings. Denker M, Boyle S, Anderson AH, Appel LJ, Chen J, Fink JC, Flack J, Go AS, Horwitz E, Hsu CY, Kusek JW, Lash JP, Navaneethan S, Ojo AO, Rahman M, Steigerwalt SP, Townsend RR, Feldman HI; Chronic Renal Insufficiency Cohort (CRIC) Study Investigators. Clin J Am Soc Nephrol. 2015 Nov 6;10(11):2073-83. Kelly TN, Raj D, Rahman M, Kretzler M, Kallem RR, Ricardo AC, Rosas SE, Tao K, Xie D, Hamm LL, He J; the CRIC Study Investigators. Nephrol Dial Transplant. 2015 Oct;30(10):1711-8. Prevalence and correlates of mitral annular calcification in adults with chronic kidney disease: results from CRIC Study. Abd Alamir M, Radulescu V, Goyfman M, Mohler ER 3rd, Gao YL, Budoff MJ; CRIC Study Investigators. Phosphate, fibroblast growth factor 23 and retinopathy in chronic kidney disease: the Chronic Renal Insufficiency Cohort Study. Mehta R, Ying GS, Houston S, Isakova T, Nessel L, Ojo A, Go A, Lash J, Kusek J, Grunwald J, Wolf M; CRIC Study Investigators. Nephrol Dial Transplant. 2015 Sep;30(9):1534-41. Proteinuria, but not eGFR, predicts stroke risk in chronic kidney disease: Chronic Renal Insufficiency Cohort study. Sandsmark DK, Messé SR, Zhang X, Roy J, Nessel L, Lee Hamm L, He J, Horwitz EJ, Jaar BG, Kallem RR, Kusek JW, Mohler ER 3rd, Porter A, Seliger SL, Sozio SM, Townsend RR, Feldman HI, Kasner SE, CRIC Study Investigators. Serum fractalkine (CX3CL1) and cardiovascular outcomes and diabetes: findings from the Chronic Renal Insufficiency Cohort (CRIC) study. Shah R, Matthews GJ, Shah RY, McLaughlin C, Chen J, Wolman M, Master SR, Chai B, Xie D, Rader DJ, Raj DS, Mehta NN, Budoff M, Fischer MJ, Go AS, Townsend RR, He J, Kusek JW, Feldman HI, Foulkes AS, Reilly MP; CRIC Study Investigators. Am J Kidney Dis. 2015 Aug;66(2):266-73. The Kansas City cardiomyopathy questionnaire score is associated with incident heart failure hospitalization in chronic kidney disease patients without previously diagnosed heart failure: the CRIC Study. Mishra RK, Yang W, Roy J, Anderson AH, Bansal N, Chen J, DeFilippi C, Delafontaine P, Feldman HI, Kallem R, Kusek JW, Lora CM, Rosas SE, Go AS, Shlipak MG; and the CRIC Study Investigators. Circ Heart Fail. 2015 Jul;8(4):702-8.
doi: 10.1161/CIRCHEARTFAILURE.115.002097. Epub 2015 May 18. Relation of aortic valve calcium to chronic kidney disease (from the Chronic Renal Insufficiency Cohort Study). Guerraty MA, Chai B, Hsu JY, Ojo AO, Gao Y, Yang W, Keane MG, Budoff MJ, Mohler ER 3rd; CRIC Study Investigators. Am J Cardiol. 2015 May 1;115(9):1281-6. Gupta J, Dominic EA, Fink JC, Ojo AO, Barrows IR, Reilly MP, Townsend RR, Joffe MM, Rosas SE, Wolman M, Patel SS, Keane MG, Feldman HI, Kusek JW, Raj DS; CRIC Study Investigators. PLoS One. 2015 Apr 24;10(4):e0124772. Dobre M, Yang W, Pan Q, Appel L, Bellovich K, Chen J, Feldman H, Fischer MJ, Ham LL, Hostetter T, Jaar BG, Kallem RR, Rosas SE, Scialla JJ, Wolf M, Rahman M; CRIC Study Investigators. J Am Heart Assoc. 2015 Apr 20;4(4). High-sensitivity troponin T and N-terminal Pro-B-type natriuretic peptide (NT-proBNP) and risk of incident heart failure in patients with CKD: the Chronic Renal Insufficiency Cohort (CRIC) Study. Bansal N, Hyre Anderson A, Yang W, Christenson RH, deFilippi CR, Deo R, Dries DL, Go AS, He J, Kusek JW, Lash JP, Raj D, Rosas S, Wolf M, Zhang X, Shlipak MG, Feldman HI. J Am Soc Nephrol. 2015 Apr;26(4):946-56. Healthy lifestyle and risk of kidney disease progression, atherosclerotic events and death in CKD: findings from the Chronic Renal Insufficiency Cohort (CRIC) Study. Ricardo AC, Anderson CA, Yang W, Zhang X, Fischer MJ, Dember LM, Fink JC, Frydrych A, Jensvold NG, Lustigova E, Nessel LC, Porter AC, Rahman M, Wright Nunes JA, Daviglus ML, Lash JP; CRIC Study Investigators. Am J Kidney Dis 2015. Mar;65(3):412-24. Time-updated Systolic Blood Pressure and the Progression of Chronic Kidney Disease: A Cohort Study. Anderson AH, Yang W, Townsend RR, Pan Q, Chertow GM, Kusek JW, Charleston J, He J, Kallem R, Lash JP, Miller ER III, Rahman M, Steigerwalt S, Weir M, Wright JT Jr, Feldman HI, Chronic Renal Insufficiency Cohort Study Investigators. Ann Intern Med. 2015 Feb 17;162(4):258-65. Liu KD, Yang W, Go AS, Anderson AH, Feldman HI, Fischer MJ, He J, Kallem RR, Kusek JW, Master SR, Miller ER 3rd, Rosas SE, Steigerwalt S, Tao K, Weir MR, Hsu CY; CRIC Study Investigators. Am J Kidney Dis. 2015 Feb;65(2):267-74. Arterial stiffness and chronic kidney disease: lessons from the Chronic Renal Insufficiency Cohort study. Curr Opin Nephrol Hypertens. 2015 Jan;24(1):47-53. Blood pressure and risk of all-cause mortality in advanced chronic kidney disease and hemodialysis: the Chronic Renal Insufficiency Cohort Study. Bansal N, McCulloch CE, Rahman M, Kusek JW, Anderson AH, Xie D, Townsend RR, Lora CM, Wright J, Go AS, Ojo A, Alper A, Lustigova E, Cuevas M, Kallem R, Hsu CY; CRIC Study Investigators. Association between chronic kidney disease progression and cardiovascular disease: results from the CRIC study. Rahman M., Xie D., Feldman H.I., Go A.S., He J., Kusek J.W., Lash J., Miller III E.R., Ojo A., Pan Q., Seliger S.L., Steigerwalt S., Townsend R.R., for the CRIC Study Investigators. The body composition and excretory burden of lean, obese, and severely obese individuals has implications for the assessment of chronic kidney disease. James Fotheringham, Nicholas Weatherley, Bisher Kawar, Damian G. Fogarty and Timothy Ellam. PMCID not applicable: Grant Support provided by the Department of Health/United Kingdom and The British Heart Foundation/United Kingdom. ACKNOWLEDGEMENTS: CRIC Study Investigators, NIDDK, and CRIC Data obtained from NIDDK Central Repository. Urinary creatinine excretion, bioelectrical impedance analysis, and clinical outcomes in patients with CKD: the CRIC study. F. Perry Wilson, Dawei Xie, Amanda H. Anderson, Mary B. Leonard, Peter P. Reese, Patrice Delafontaine, Edward Horwitz, Radhakrishna Kallem, Sankar Navaneethan, Akinlolu Ojo, Anna C. Porter, James H. Sondheimer, H. Lee Sweeney, Raymond R. Townsend, Harold I. Feldman, and the CRIC Study Investigators. Arterial stiffness, central pressures and incident hospitalized heart failure in the chronic renal insufficiency cohort (CRIC) study. Julio A. Chirinos, MD, PhD, Abigail Khan, MD, Nisha Bansal, MD, Daniel Dries, MD, Harold I. Feldman, MD, Virginia Ford, CRNP, Amanda H. Anderson, PhD, Krishna Kallem, MD, James P. Lash, MD, Akinlolu Ojo, MD, Martin Schreiber, MD, Angela Sheridan, MPH, Jillian Strelsin, BA, Valerie Teal, PhD, Alan S. Go, MD, and Raymond R. Townsend, MD and the CRIC Study Investigators. Circ Heart Fail. 2014 Sep;7(5):709-16. Higher levels of cystatin C are associated with worse cognitive function in older adults with chronic kidney disease: the chronic renal insufficiency cohort cognitive study. Kristine Yaffe, MD, Manjula Kurella-Tamura, MD, MPH, Lynn Ackerson, PhD, Tina D. Hoang, MSPH, Amanda H. Anderson, PhD, Mark Duckworth, MPH, Alan S. Go, MD, Marie Krousel-Wood, MD, MSPH, John W. Kusek, PhD, James P. Lash, MD, Akinlolu Ojo, MD, PhD, Nancy Robinson, PhD, Ashwini R. Sehgal, MD, James H. Sondheimer, MD, Susan Steigerwalt, MD, Raymond R. Townsend, MD and the CRIC Study Investigators. J Am Geriatr Soc. 2014 Aug 14. 2014 Sep;62(9):1623-9. Higher plasma CXCL12 levels predict incident myocardial infarction and death in chronic kidney disease: Findings from the chronic renal insufficiency cohort study. Nehal N. Mehta; Gregory Matthews; Parasuram Krishnamoorthy; Rhia Shah; Cathy McLaughlin; Parth Patel; Matthew Budoff; Jing Chen; Melanie Wolman; Alan Go; Jiang He; Peter A. Kanetsky; Stephen Master; Daniel J Rader; Dominic Raj; Crystal A. Gadegbeku; Rachana Shah; Marty Schreiber; Michael J. Fischer; Raymond R. Townsend; John Kusek; Harold I. Feldman; Andrea Foulkes; Muredach P. Reilly; and the Chronic Renal Insufficiency Cohort (CRIC) Study Investigators. Eur Heart J. 2014 Aug 14;35(31):2115-22. Serum aldosterone and death, end-stage renal disease, and cardiovascular events in blacks and whites: findings from the chronic renal insufficiency cohort (CRIC) study. Deo R, Yang W, Khan AM, Bansal N, Zhang X, Leonard MB, Keane MG, Soliman EZ, Steigerwalt S, Townsend RR, Shlipak MG, Feldman HI. Retinopathy and progression of CKD: the CRIC study. Juan E. Grunwald, Maxwell Pistilli, Gui-Shuang Ying, Ebenezer Daniel, Maureen G. Maguire, Dawei Xie, Revell Whittock-Martin, Candace Parker Ostroff, Joan C. Lo, Raymond R. Townsend, Crystal A. Gadegbeku, James P. Lash, Jeffrey C. Fink, Mahboob Rahman, Harold I. Feldman, John W. Kusek, and the Chronic Renal Insufficiency Cohort Study Investigators. Clin J Am Soc Nephrol. 2014 Jul;9(7):1217-24. Mahboob Rahman, Wei Yang, Sanjeev Akkina, Arnold Alper, Amanda Hyre Anderson, Lawrence J. Appel, Jiang He, Dominic S. Raj, Jeffrey Schelling, Louise Strauss, Valerie Teal, and Daniel J. Rader, for the CRIC Study Investigators. Clin J Am Soc Nephrol. 2014 Jul 7;9(7):1190-8. Differential scaling of glomerular filtration rate and ingested metabolic burden: implications for gender differences in chronic kidney disease outcomes. Ellam T, Fotheringham J, Kawar B.
Nephrol Dial Transplant. 2014 Jun;29(6):1186-94. PMC4055827 (Data obtained from NIDDK Repository). Laura H. Mariani, Matthew T. White, Justine Shults, Harold I. Feldman, Myles Wolf, Cheryl A. Anderson, Peter P. Reese, Michelle R. Denburg, Raymond R. Townsend, Joan C. Lo, Anne R. Cappola, Dean Carlow, Crystal A. Gadegbeku, Susan Steigerwalt, Mary B. Leonard, CRIC Investigators. J Ren Nutr 2014 May;24(3):186-93. Race modifies the association between adiposity and inflammation in patients with chronic kidney disease: findings from the chronic renal insufficiency study. Wing MR, Yang W, Teal V, Navaneethan S, Tao K, Ojo A, Guzman NN, Reilly M, Wolman M, Rosas SE, Cuevas M, Fischer M, Lustigova E, Master SR, Xie D, Appleby D, Joffe M, Kusek J, Feldman HI, Raj DS; for the Chronic Renal Insufficiency Cohort (CRIC) Study. Obesity (Silver Spring). 2014 May;22(5):1359-66. DNA methylation profile associated with rapid decline in kidney function: findings from the CRIC study. Maria R. Wing, Joseph M. Devaney, Marshall Joffe, Dawei Xie, Harold Feldman, Kevin Sterling, Katalin Susztak, Nicolas Guzman, Jim Herman, Leslie Cope, Brennan Harmon, Alan Go, Jiang He, JP Lash, Eric Hoffman, John W. Kusek, Dominic S. Raj. Nephrol Dial Transplant. 2014 Apr;29(4):864-72. Estimated albumin excretion rate versus urine albumin-creatinine ration for the estimation of measured albumin excretion rate: derivation and validation of an estimated albumin excretion rate equation. Am J Kidney Dis. 2014 Mar;63(3):405-14.
doi: 10.1053/j.ajkd.2013.08.009. Epub 2013 Sep 29. Association of various kidney disease outcomes with risk factors for CKD: findings from the chronic renal insufficiency cohort (CRIC) study. Wei Yang, PhD, Dawei Xie, PhD, Amanda H. Anderson, PhD, Marshall M. Joffe, MD, PhD, Tom Greene, PhD, Valerie Teal, MS, Chi-yuan Hsu, MD, Jeffrey C. Fink, MD, Jiang He, MD, PhD, James P. Lash, MD, Akinlolu Ojo, MD, PhD, Mahboob Rahman, MD, Lisa Nessel, MS, John W. Kusek, PhD, Harold I. Feldman, MD, MSCE and the CRIC Study Investigators. Am J Kidney Dis. 2014 Feb;63(2):236-43. Supplementary Table: Multivariable adjusted HRs for proportional hazards model for other outcomes. Fibroblast growth factor 23 and cardiovascular events in CKD. Julia J. Scialla, MD, MHS, Huiliang Xie, PhD, Mahboob Rahman, MD, MS, Amanda Hyre Anderson, PhD, Tamara Isakova, MD, MMSc, Akinlolu Ojo, MD, MPH, PhD, Xiaoming Zhang, MS, Lisa Nessel, MSS, MLSP, Takayuki Hamano, MD, PhD, Juan Grunwald, MD, Dominic S. Raj, MD, Wei Yang, PhD, Jiang He, MD, PhD, James P. Lash, MD, Alan S. Go, MD, John W. Kusek, PhD, Harold Feldman, MD, MSCE, Myles Wolf, MD, MMSc, and the CRIC Study Investigators. J Am Soc Nephrol. 2014 Feb;25(2):349-60. Ana C. Ricardo, MD, MPH, Wei Yang, PhD, Claudia M. Lora, MD, MS, Elisa J. Gordon, PhD, MPH, Clarissa J. Diamantidis, MD, MHS, Virginia Ford, MSN, John W. Kusek, PhD, Amada Lopez, Eva Lustigova, MPH, Lisa Nessel, MSS, MLSP, Sylvia E. Rosas, MD, Susan Steigerwalt, MD, Jacqueline Theurer, BS, Xiaoming Zhang, MS, Michael J. Fischer, MD, MSPH, and James P. Lash, MD, on behalf of the CRIC Investigators. Heart rate variability is a predictor of mortality in chronic kidney disease: a report from the CRIC study. Paul E Drawz, MD, MHS, MS, Denise C Babineau, PhD, Carolyn Brecklin, Jiang He, Radhakrishna R Kallem, MD, MPH, Elsayed Z Soliman, MD, MSc, MS, Dawei Xie, Dina Appleby, Amanda H Anderson, Mahboob Rahman, MD, and the CRIC Study Investigators. Comparison of associations of urine protein-creatinine ratio versus albumin-creatinine ratio with complications of CKD: a cross-sectional analysis. Fisher H, Hsu CY, Vittinghoff E, Lin F, Bansal N.
Am J Kidney Dis. 2013 Dec;62(6):1102-8. Determinants of the creatinine clearance to glomerular filtration rate ratio in patients with chronic kidney disease: a cross-sectional study. Lin YC, Bansal N, Vittinghoff E, Go AS, Hsu CY. BMC Nephrol. 2013 Dec 5;14:268 . Erratum in: BMC Nephrol. 2014;15:85. Predictors of high sensitivity cardiac troponin T in chronic kidney disease patients: a cross-sectional study in the chronic renal insufficiency cohort (CRIC). Dubin RF, Li Y, He J, Jaar BG, Kallem R, Lash JP, Makos G, Rosas SE, Soliman EZ, Townsend RR, Yang W, Go AS, Keane M, Defilippi C, Mishra R, Wolf M, Shlipak MG.
BMC Nephrol. 2013 Oct 22;14(1):229. Mirela Dobre, Wei Yang, Jing Chen, Paul Drawz, Lee Hamm, Edward Horwitz, Thomas Hostetter, Bernard Jaar, Claudia M Lora, Lisa Nessel, Akinlolu Ojo, Julia Scialla, Susan Steigerwalt, Valerie Teal, Myles Wolf, Mahboob Rahman. Am J Kidney Dis. 2013 Oct;62(4):670-8. Peter P. Reese, Anne R. Cappola, Justine Shults, Ray Townsend, Crystal Gadegbeku, Cheryl Anderson, Joshua F. Baker, Dean Carlow, Michael J. Sulik, Joan C. Lo, Alan S. Go, Bonnie Ky, Laura Mariani, Harold I. Feldman, Mary B. Leonard and the CRIC Study Investigators. Jane F Ferguson, Gregory J Matthews, Raymond R Townsend, Dominic Raj, Peter A. Kanetsky, Matthew Budoff, Michael J Fischer, Sylvia Rosas Radhika Kanthety, Akinlolu Ojo, Mahboob Rahman, Jiang He, Alan Go, Crystal Gadegbeku, John Flack, Jackson Wright, Stephen Master, Atif Qasim, Mingyao Li, Nehal N. Mehta, Haiqing Shen, Braxton D Mitchell, Jeffrey R O'Connell, Alan R Shuldiner, Weang Kee Ho, Robin Young, Asif Rasheed, John Danesh, Danish Saleheen, John Kusek, Harold I. Feldman, Daniel J Rader, Andrea S Foulkes, Muredach P Reilly; CRIC Study Investigators. J Am Coll Cardiol. 2013 Aug 27;62(9):789-98. FGF23 modifies the relationship between vitamin D and cardiac remodeling. Bonnie Ky, MD, MSCE; Justine Shults, PhD; Martin G. Keane, MD; Martin St. John Sutton, MBBS; Myles Wolf, MD, MMSc; Harold Feldman, MD, MSCE; Peter Reese, MD, MSCE; Cheryl Anderson, PhD; Raymond Townsend, MD; Joan Lo, MD; Crystal Gadegeku, MD; Dean Carlow, MD, PhD; Michael J. Sulik, MA; Mary B. Leonard, MD, MSCE and the CRIC Study Investigators. Circ Heart Fail. 2013 Jul;6(4):817-24. Julia J. Scialla, MD, MHS, Wei Ling Lau, MD, Muredach P. Reilly, MBBCh, MSCE; Tamara Isakova, MD, MMSc, Hsueh-Ying Yang, MS, Matthew H. Crouthamel, PhD, Nicholas W. Chavkin, MS, Mahboob Rahman MD, MS; Patricia Wahl, PhD; Ansel P. Amaral, BS; Takayuki Hamano, MD, PhD; Stephen R. Master, MD, PhD; Lisa Nessel, MSS, MLSP; Boyang Chai, MS; Dawei Xie, PhD; Radhakrishna R. Kallem MD, MPH; Jing Chen, MD; James P. Lash, MD; John W. Kusek, PhD; Matt J. Budoff, MD; Cecilia M. Giachelli, PhD, and Myles Wolf, MD, MMSc for the CRIC Investigators. Urine neutrophil gelatinase-associated lipocalin levels do not improve risk prediction of progressive chronic kidney disease. Kathleen D Liu, MD, PhD, Wei Yang, PhD, Amanda H Anderson, PhD, Harold I Feldman, MD, Sevag Demirgian, MD, Takayuki Hamano, MD, PhD, Jiang He, MD, PhD, James Lash, MD, Eva Lustigova, Sylvia E Rosas, MD, Michael S Simonson, PhD, Kaixiang Tao, PhD, Chi-yuan Hsu, MD, on behalf of the Chronic Renal Insufficiency Cohort (CRIC) study investigators. Association of cardiac troponin T with left ventricular structure and function in CKD. Rakesh K. Mishra, Yongmei Li, Christopher DeFilippi, Michael J. Fischer, Wei Yang, Martin Keane, Jing Chen, Jiang He, Radhakrishna Kallem, Edward Horwitz, Mohammad Rafey, Dominic Raj, Leigh Rosen, Alan S. Go, Michael G. Shlipak. Am J Kidney Dis. 2013 May;61(5):701-9. A longitudinal study of left ventricular function and structure from CKD to ESRD: the CRIC study. Nisha Bansal, MD MAS, Martin Keane, MD, Patrice Delafontaine, MD, Daniel Dries, MD, Elyse Foster, MD, Crystal A. Gadegbeku, MD, Alan S Go, MD, L. Lee Hamm, MD, John W. Kusek, PhD, Akinlolu O. Ojo, MD, Mahboob Rahman, MD, Kaixiang Tao, Jackson T. Wright, MD, Dawei Xie, PhD and Chi-yuan Hsu, MD MSc for the CRIC Investigators. Clin J Am Soc Nephrol. 2013 Mar;8(3):355-62. Validation of the Kidney Disease Quality of Life Short Form 36 (KDQOL-36) U.S. Spanish and English versions in a cohort of Hispanic with Chronic Kidney Disease. Ana C. Ricardo, MD, MPH, Eileen Hacker, PhD, RN, Claudia M. Lora, MD, Lynn Ackerson, PhD, Karen B. DeSalvo, MD, MPH, MSc, Alan Go, MD, John W. Kusek, PhD, Lisa Nessel, MSS, MLSP, Akinlolu Ojo, MD, Raymond R. Townsend, MD, Dawei Xie, PhD, Carol E. Ferrans, PhD, RN, and James P. Lash, MD, on behalf of the CRIC and HCRIC Study Groups. APOL1 risk variants, race and progression of chronic kidney disease. Afshin Parsa, M.D., M.P.H., W.H. Linda Kao, Ph.D., M.H.S., Dawei Xie, Ph.D., Brad C. Astor, M.P.H., Ph.D., Man Li, M.S., Chi-yuan Hsu, M.D., M.Sc., Harold I. Feldman, M.D., M.S.C.E., Rulan S. Parekh, M.D., M.S., John W. Kusek, Ph.D., Tom H. Greene, Ph.D., Jeffrey C. Fink, M.D., M.S., Amanda H. Anderson, Ph.D., Michael J. Choi, M.D., Jackson T. Wright Jr., M.D., Ph.D., James P. Lash, M.D. Barry I. Freedman, M.D., Akinlolu Ojo, M.D., Cheryl A. Winkler, Ph.D, Dominic S. Raj, M.D, Jeffrey B. Kopp, M.D., Jiang He, M.D., Ph.D., Nancy G. Jensvold, M.P.H, Kaixiang Tao, Ph.D., Michael S. Lipkowitz, M.D., Lawrence J. Appel, M.D., M.P.H., for the African-American Study of Kidney Disease and Hypertension (AASK) and the Chronic Renal Insufficiency Cohort (CRIC) Study Investigators. N Engl J Med. 2013 Dec 5;369(23):2183-96. Association of N-Terminal Pro-B-Type Natriuretic Peptide with Left Ventricular Structure and Function in Chronic Kidney Disease (from The Chronic Renal Insufficiency Cohort [CRIC]). Rakesh K. Mishra, Yongmei Li, Ana C. Ricardo, Wei Yang, Martin Keane, Magdalena Cuevas, Robert Christenson, Christopher DeFilippi, Jing Chen, Jiang He, Radhakrishna R. Kallem, Dominic S. Raj, Jeffrey R. Schelling, Jackson Wright, Alan S. Go, Michael G. Shlipak, and CRIC investigators. Am J Cardiol. 2013 Feb 1;111(3):432-8. Kristine Yaffe, MD; Lynn Ackerson, PhD; Tina D Hoang, MSPH; Alan S. Go, MD; Maureen G. Maguire, PhD; Gui-Shuang Ying, PhD, Ebenezer Daniel, MBBS, MS, PhD; Lydia A. Bazzano, MD, PhD; Martha Coleman, RN; Debbie L. Cohen, MD; John W. Kusek, PhD; Akinlolu Ojo, MD, PhD; Stephen Seliger, MD; Dawei Xie, PhD; Juan E. Grunwald, MD; CRIC Investigators. Am J Kidney Dis. 2013 Feb;61(2):219-27. Diabetes, lower extremity amputation, loss of protective sensation, and neuronal nitric oxide synthase associated protein in the chronic renal insufficiency cohort study. David J. Margolis, Jayanta Gupta, Stephen R. Thom, Raymond R. Townsend, Peter A. Kanetsky, Ole Hoffstad, Maryte Papdopoulos, Michael Fischer, Jeffrey R. Schelling, Nandita Mitra and CRIC Investigators. Wound Repair Regen. 2013 Jan-Feb;21(1):17-24. Guo Y, Lanktree MB, Taylor KC, Hakonarson H, Lange LA, Keating BJ; IBC 50K SNP array BMI Consortium.